Nathan Drummond’s actions at the age of eighteen had devastating consequences. Writing became therapeutic, leading him into a successful career as a mystery writer. With seven novels to his name, Nathan is rapidly becoming a household name. When family responsibilities force him to return to his home town, he meets Angie Hernandez. 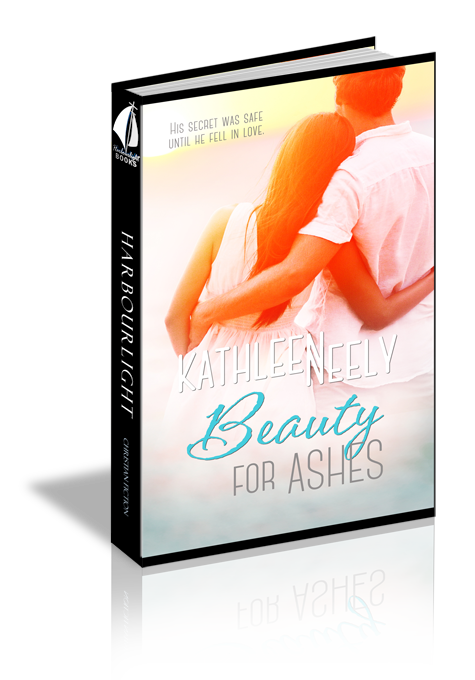 Nathan doesn’t count on falling in love, and certainly not with a woman who has the power to shatter his peace. Being at home pushes him too close to painful memories, and as guilt threatens and panic attacks set in, Nathan begins to write a novel paralleling the tragic event from his youthful folly. Will the novel be seen as a work of fiction, or will it expose his secret and threaten his future? Heaviness pressed down upon him. Nathan tried to open his eyes, but as a sliver of light penetrated his eyelids, pain exploded in his head. He hooked his arm around the pillow and pulled it to block the light. He ran a hand over the wrinkled sheets and risked opening his eyes. He was in his own bed, fully clothed, still wearing shoes. A leaden feeling held him there, his own weight too heavy to lift. A glimpse at his alarm clock showed eleven fifteen in red lights. Sunshine forced its way through the window, and dust particles danced in the sunbeam, telling him it was morning. Fragments of memory surfaced. Music. Pulsations rocked the truck at deafening decibels. Sam’s singing. Blinding lights moving in concentric circles and changing directions. Nathan wedged his foot free of the covers and then forced his legs off the side of the bed. Once he managed a sitting position, his stomach rebelled. He remembered something else—something red in his foggy brain. A swift image ripped through his head. A spinning top. No, that wasn’t right. It wasn’t a toy. A car! A red car—brakes screeching as it spun and twirled before crashing into a pole. His mouth watered and his throat filled with bitter acid. He wouldn’t make it to the bathroom. He grabbed the trashcan as his stomach lost the battle. Nathan Drummond’s photo stared at him from the back cover of his latest release. The full-length shot captured him leaning against a tree, gnarled branches behind him, heavy with moss. It was a relaxed scene—his arms loosely folded at chest height. Coffee-brown hair and the hint of a smile repeated on each novel and on the website. His publicist insisted that face recognition was as important as name recognition. The picture captured enigmatic eyes—the steely gray hue brought an intense look, while flecks of light indicated amusement, creating a furtive paradox. A practiced look. Perfect for a mystery writer. He turned the hardback over, enjoying the weight of it. Nathan’s debut novel had only been printed in paperback. It attained mediocre success, but the second one hit the New York Times Best Seller list and stayed there for eleven weeks. His hand slid along the book jacket, feeling the rise of embossed letters. Eight novels in the six years since he graduated from Emory had allowed him to quit his teaching job to write full time. It never got old. He couldn’t suppress the grin as he snapped a picture of the cover and sent it in a text message to his mother and his sister, Leah. They had always been his top supporters, along with his dad, until his sudden death three weeks ago. “Whoa. Are we celebrating something?” She sounded as though she was moving around, opening and closing a file cabinet. “I’ll pick you up at six.” He disconnected the call and hit the button to dial his mother. She was slow to answer, fatigue evident in her voice. “So, are you ready to talk surgery? I told you I’ll come to help you.” His sister lived on the west coast while her husband finished his residency at UCLA Medical Center. She had flown in for their dad’s funeral, but the trip was long and expensive. Leah was younger than him, married, and expecting her first child. It just hadn’t happened for him. “You’re two and a half hours away. Why don’t you bring it? You might like a home-cooked meal.” She liked to remind him how close he was to home. Question 1: Why didn’t Nathan talk with his mother about his father’s financial difficulties? How would this story be different if he had? Answer 1: Nathan immediately assumed the worst. He tried to protect his mother from worry and wanted to preserve his father’s reputation. Question 2: Compare Nathan’s response to the accident with Sam’s response. What do you learn about each of them by their reactions? Answer 2: Sam's reaction was self-protective. Nathan had a fuller grasp of the impact. He showed a deeper value of human life. Question 3: Why did Nathan keep a jar of ashes? What did it accomplish? Answer 3: He wanted a reminder of his reckless actions and he didn't want Ramon Garcia to be forgotten. In the end, Nathan learned that it accomplished very little. Question 4: After years of avoiding all reminders of the accident, why did Nathan volunteer at The Herald Center? Answer 4: He was drawn to the center for some unexplained reason that surpassed his desire to play basketball. Question 5: Angie compared her decision to give up Julliard with Nathan’s decision to help his mother. Was this a fair comparison? How were they the same, and how were they different? Answer 5: Both sacrificed to help and protect someone they loved. Both kept their sacrifices in confidence. The biggest difference is that Angie gave up her dream, while Nathan was still able to pursue his. Question 6: At one point, Nathan said that Del put him to shame. What was Nathan’s reasoning? Answer 6: Del was almost as old as Nathan had been when the accident occurred. Nathan had lived with two attentive parents and many advantages, but made some poor choices. Del grew up poor in a single parent home, but made better choices. Question 7: Nathan’s silence following the accident allowed him to avoid the legal consequences. What was the cost of his silence? Answer 7: He suffered panic attacks and lived with fear. The guilt overwhelmed him. He allowed distance between him and his home, resulting in less time with family. Question 8: Nathan’s mother delayed her hip surgery, stating that she would know when the pain was worse than going through the surgery. How did that same concept effect Nathan’s decision? Answer 8: Living in his hometown, Nathan had constant reminders, increasing his guilt. Eventually, the pain of living with his guilty secret became more painful than facing the consequences. Question 9: What was Elizabeth’s reaction when she learned the truth? Why did her response to the judge differ? Answer 9 Elizabeth was angry after years of bitterness. She realized that the core her father's life and ministry had been forgiveness. Her request for mercy was an act of obedience. Her Uncle Alex said that her heart would eventually catch up with her words. Question 10: How did Nathan’s arrest and imprisonment set him free? Answer 10: Nathan had been imprisoned in his world of guilt, shame, and attempt to cover his secret. When he confessed and turned himself in, he released each of those.